A shareholder of defunct uniBank, Dr Kwabena Duffour, has sued the Bank of Ghana for revoking the license of his financial institution. 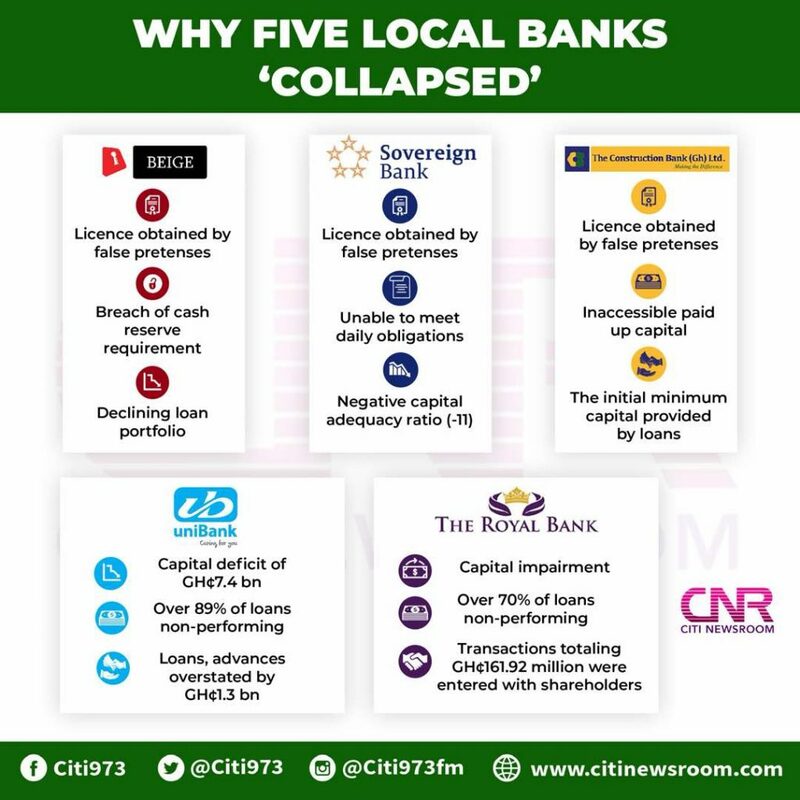 Dr. Duffour is also seeking a declaration that the Consolidated Bank Ghana Limited cannot take over the bank’s assets and liabilities including deposits of depositors. Dr. Duffour also wants the High Court to order the Bank of Ghana to give him back his bank. The Bank of Ghana a few weeks ago announced the consolidation of five local banks into a new entity called the Consolidated Bank Ghana Limited, which is 100 percent state-owned. The banks are UniBank, Beige Bank, The Construction bank, The Royal Bank, and Sovereign Bank. In March 2018, the central bank took over uniBank which it said was on the verge of collapse and handed it over to audit firm, KPMG Ghana as the administrator. Two shareholders of defunct uniBank had already dragged the Bank of Ghana (BoG) before a court for canceling their 51 percent stake in adb. According to the plaintiff in the suit filed at the High Court, the decision taken by the Bank of Ghana was “arbitrary, capricious and inconsistent”. The shareholders, Belstar Capital Limited and Starmount Development Company Limited are seeking the annulment of the BoG’s decision. The suit follows the annulment of Belstar’s 24 percent shares and Starmount’s 11 percent shares in adb over assertions that they were acquired fraudulently. The two shareholders were victims of the BoG’s renewed efforts to clean the country’s financial sector and ensure a vibrant banking industry. The Bank of Ghana in July 2018 annulled the acquisition of shares in ADB Bank limited held by four investors including Belstar capital and Starmount Development Company Limited. The others are SIC Financial Services and EDC Investments Limited. A statement from the Bank of Ghana on the matter said that the order is pursuant to section 55 of the Banks and Specialised Deposit-Taking Institutions Act, 2016 (Act 930). According to the central bank, the decision amongst others annuls the shares acquired by the four investors and equally makes it impossible for them to carry out any voting rights as well as reduce the effectiveness of the directors appointed by the said investors. The central bank implicated Belstar and Starmount over what it said was their participation in a series of other questionable, unsafe, and unsound related party transactions involving uniBank Ghana Limited to the detriment of Ghana’s financial system and for their financial gain and benefit. The Bank of Ghana also said it considered that Belstar and Starmount were not fit and proper persons and cannot permit them to continue to hold shares acquired directly or indirectly in ADB.